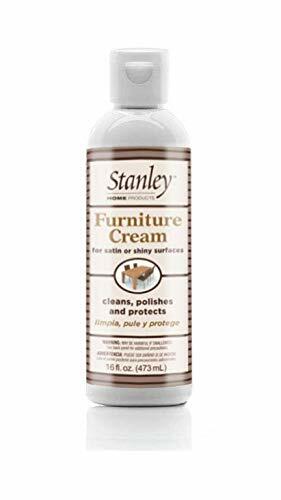 Stanley Home Products Furniture Cream - Wood Polish - 16 fl oz. Directions: Do not pour directly on furniture. Use sparingly. Keep from freezing. Shake well and apply small amount to clean, soft cloth. Work into cloth. Rub furniture lightly to remove dirt and finger marks. For complete coverage, rub against the grain, then with the grain. Polish immediately with clean, dry, soft cloth until surface is thoroughly dry.